Sarah Sawacki’s past has made her a survivor. At the age of 28 her life is the best it has ever been. When she sees ten-year-old Andrea being kidnapped, her every instinct is to turn away. Sarah can only follow, journeying beyond reason for an innocence she never knew. Andrea’s father is ex-forces and struggling in a civilian world he cares nothing for. Only now his daughter is missing, has he realised how precious she is. Teamed with Sarah’s husband, they use the trail left by Sarah to hunt for Andrea. Legendary detective Francis Boer is dying. He will call upon all his intuition and experience as he works to discover why Andrea was targeted in the first place. His hope is not to catch the guilty, but to save one last innocent. 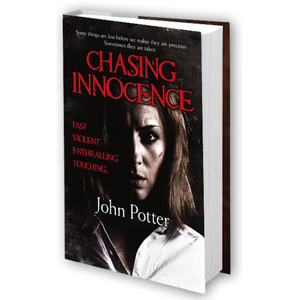 Chasing Innocence is a thrilling debut that blends fast narrative and intense action with an enthralling story.